The photographer says: This is on Lake Harriet in Minneapolis. There are no rinks officially cleared for skating on this lake; but people will undertake the task themselves sometimes, weather permitting. This is a dad making a little more room for his kids. 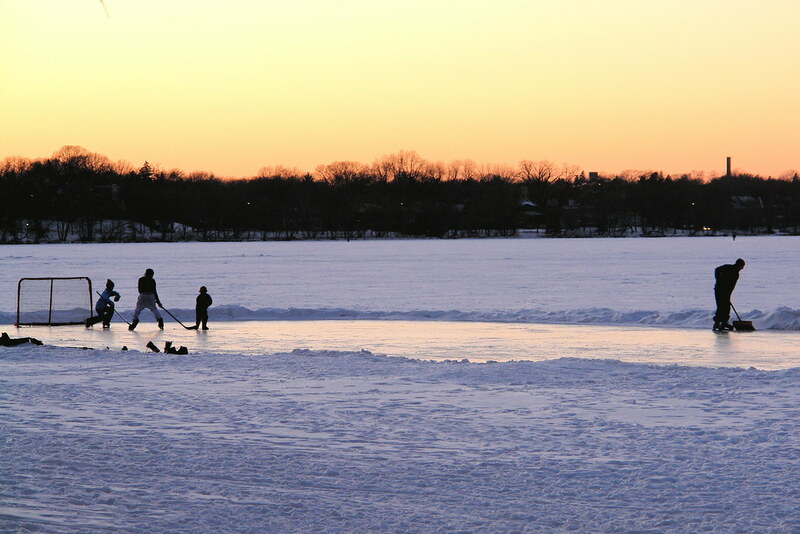 This photo, from just over a year ago, shows a time-tested Minnesota tradition and with the recent spell of bone-chilling cold weather, outdoor ice rinks will be popping up all across Minnesota ponds and lakes.